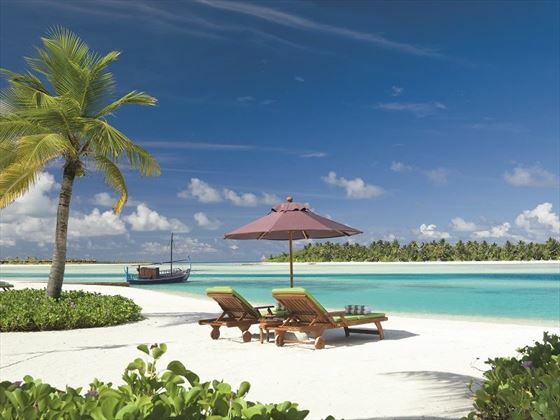 With only 20 beach houses dotted along the sugary white sands, Naladhu Private Island adopts the classic castaway vibe. We love that every villa overlooks the turquoise Indian Ocean – no matter where you stay, you’ll be blessed with some of the most beautiful views on the planet. This gorgeous retreat focuses on giving you unforgettable moments, whether that be a romantic barefoot dinner by the lagoon, or relaxing on your own private beach cabana during the day. You’ll even have your own House Master, there to greet you when you first arrive, and then act as your personal concierge and butler for the rest of your stay. 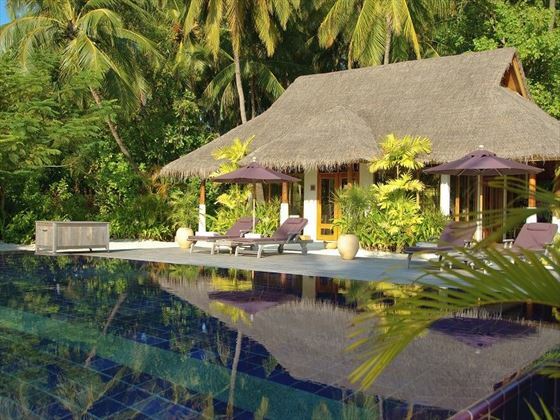 This is a truly idyllic Maldivian experience, indulging in a spacious beach house or villa that boasts its own secluded infinity-edge pool and beautiful outdoor living areas. Most are just steps from the beach, where you can stroll along to The Living Room, a chilled, island-style restaurant serving the freshest of seafood infused with local and international flavours. The resort is certainly tranquil, but there are plenty of activities to enjoy here, too. Find your Zen with a yoga class, or take to the water with a snorkel in hand to explore the vibrant reefs. The Ocean Retreat Spa is perfect for an indulgent massage, or you could wander to the Coconut Grove relaxation area for even more serenity. This island paradise has your wellbeing in mind, offering a relaxing escape from everyday life. 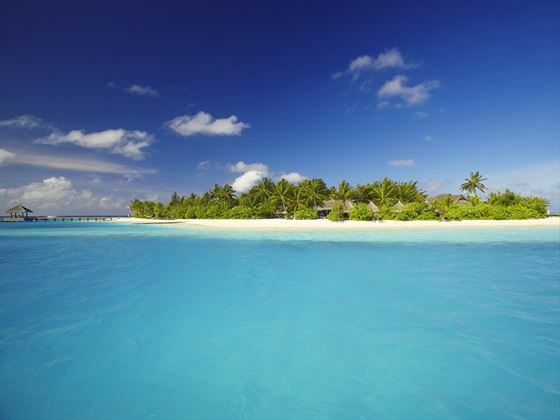 This remote paradise is located on the small island of Naladhu, a private islet close by to Veliganduhuraa. To get there, you’ll need to hop onboard a luxury speedboat from Velana International Airport, taking 35-minutes. Boasting pristine white sands and pure serenity, this island will feel like your very own oasis. 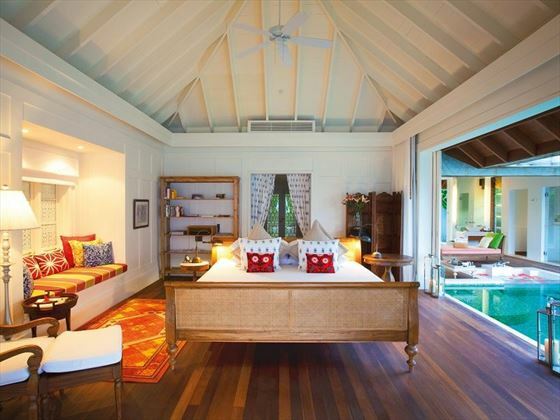 Ocean Pool Villa – Contemporary 300sqm island hideaways that offer wonderful privacy. Facing the ocean, these villas boast an oceanfront deck fitted with a private dining sala and an 8x4m infinity-edge pool. Just steps away you’ll find your own private beach cabana and kayak, whilst inside you’ll find bright, modern décor and open-air spaces. You’ll also have a House Master to help you with anything you need. Sleeps a maximum of two adults and one child. 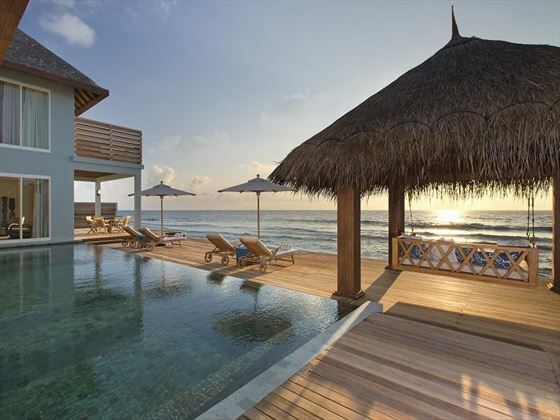 Ocean House with Pool – Though these 300sqm houses don’t have direct access to the beach or lagoon, they still benefit from luxurious amenities. 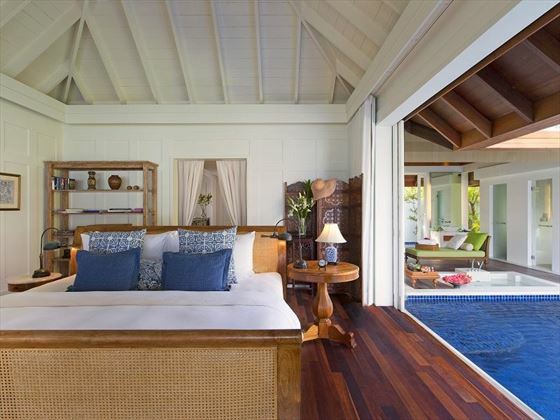 These suites feature an oceanfront deck with a private dining sala, loungers and an 8x4m infinity-edge pool, as well as its own private beach cabana and House Master. We’re certain you’ll love the spacious -open-air spaces to relax in. Sleeps a maximum of two adults and one child. Beach House with Pool – With the same amenities as the Ocean House with Pool, but with a unique location and view. 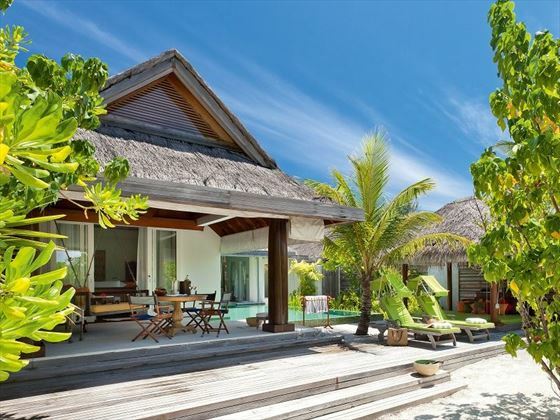 These gorgeous 300sqm villas feature an 8x4m pool that looks out onto a verdant rear garden, leading on to a tranquil beach on the lagoon side of the island. Sleeps a maximum of two adults and one child. Two Bedroom Pool Residence – This beautiful 600sqm residence has the utmost privacy, with its own gated entrance and House Master service. The residence overlooks dramatic ocean views, with a scenic al fresco dining terrace that leads on to a 95sqm pool and sun deck with another dining pavilion and sala at each end. Inside, you’ll find a sophisticate living and dining room that seamlessly leads onto the outside decking, and there’s also a full butler’s kitchen and pantry. The master suite boasts a dressing room, a lounge space, a king-size bedroom, ensuite bathroom and a daybed balcony, whilst the second twin bedroom is great for children and features a dressing room and ensuite. Sleeps a maximum of six guests. The Living Room – Overlooking the lagoon, we love the laidback beach vibes at this beautiful island-style restaurant. 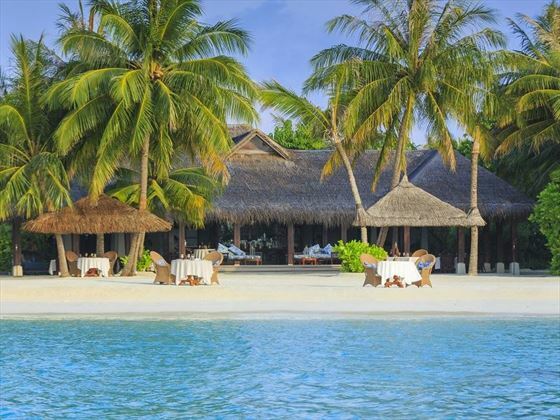 Choose from a seasonal menu crafted by the chef, which concentrates on the delicious fresh fish caught straight from the lagoon, including Maldivian tuna steak, lobster, and branzino - all paired with a divine wine from the wine cellar. Open all day for breakfast, 10am-6pm for lunch, and 6pm-12am for dinner. In-Residence Dining – Enjoy sumptuous dishes from The Living Room in the comfort of your villa, including tasty BBQs on your private deck with a chef and waiter, or even a romantic Champagne breakfast in bed. Available 24 hours a day. 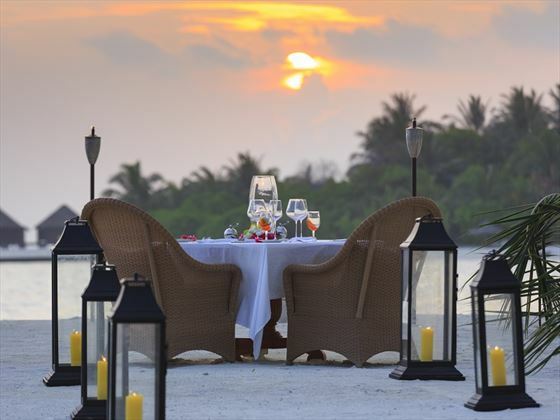 Intimate Dining Affairs – Treat yourself to a wonderful private dinner anywhere on the island. Wherever you choose, you’ll be treated to a fine-dining experience in a unique, secluded setting. 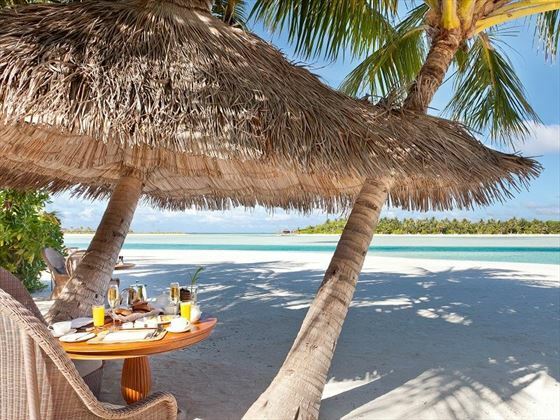 Some of our favourites include gourmet picnics on nearby Gulhifushi Island, or dining barefoot on the beach. Advanced reservations are required. 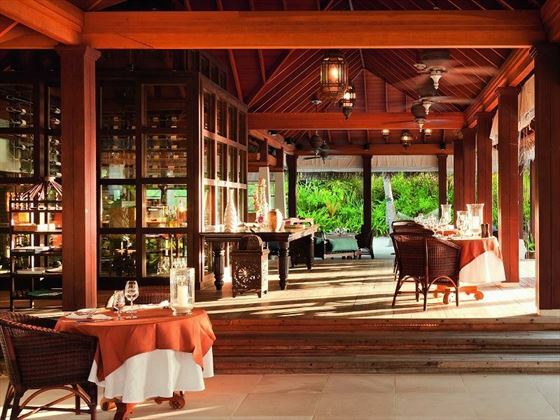 Baan Huraa – This welcoming teak over-water restaurant at sister resort Anantara Veli will transport you to the vibrant flavours of Thailand, serving up delicious authentic feasts with Asian flair. Open seasonally for lunch from 1pm-3pm, and year-round for dinner from 6.30pm-10.30pm. 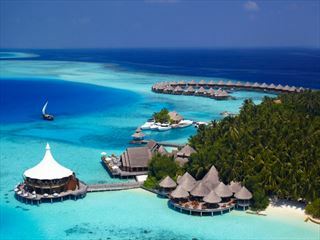 Barefoot luxury and the highest levels of service, accommodation and fine dining are what Baros Maldives is all about. Guests wanting a luxury island paradise will not be disappointed by its magnificent spa, fine dining restaurants and beach and water villas. 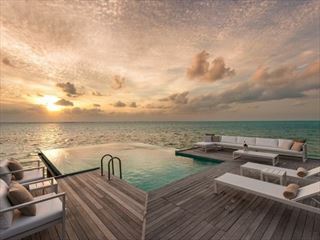 In a spectacular setting on the Indian Ocean, the Conrad Maldives Rangali Island is the ultimate romantic destination offering sophisticated barefoot luxury, stunning tropical islands surrounded by breath-taking natural beauty and sparkling ocean. 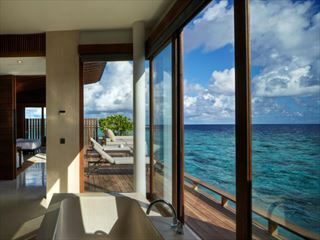 The Park Hyatt Hadahaa is a luxurious, elegant resort with lavish surroundings and amazing views - relax and unwind here on what promises to be a memorable getaway.